Last week a visit with Erin of Platings and Pairings had me really ready to get back to blogging. We had a great time talking about blogging, bloggers, and food over Happy Hour. We also talked about the challenges, such as this time of year when it gets dark at 4:30 outside, and our natural light is gone. But this time of year is so mesmerizingly beautiful outside. The weather is perfect. The leaves are golden and red, the rain relaxes me as I listen to the downfall outside. I drive around and listen to John Mayer's Why Georgia for hours. I found myself admitting to my friend Jenna that it's exhausting to cook full time at home for our family of four. Now that my husband is working in the Portland area, I'm back to cooking dinner at home every night, plus lunches that he can pack for work, plus lunches for the girls at school, plus after school snacks. Even when I tried to resort to a rotisserie chicken one night, the idea was not received well. Alaska, can you take him back soon? The slow cooker is perfect for this time of year. The kids are back in school with their soccer and volleyball practices and games, meaning so much running around. Also with the Crock Pot, I'm not standing over a stove. I can get it started and go run errands (aka, go meet friends downtown for lunch). Chili is such a necessity at our house this time of year. The nostalgic loud sound of football is always on my husband's 60 inches of true love (his TV), requiring a delivery of chili served to his recliner so that he doesn't have to step away from his Fantasy Football stats. And he says I have it made?! 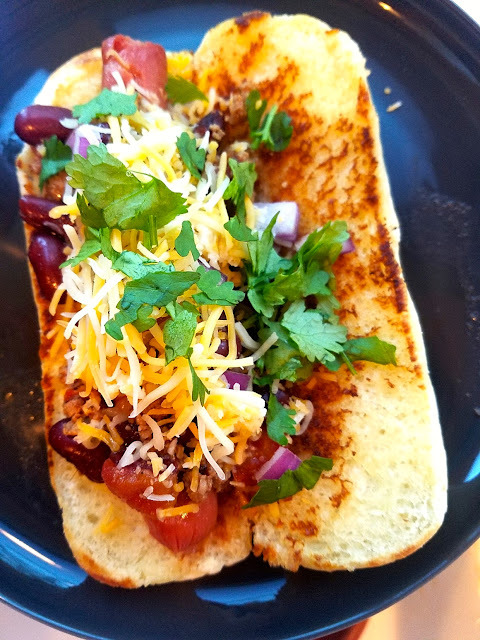 Does anyone else like chili dogs with cilantro? My sassy daughter Sasha would say, "Asian." My husband was always the chili maker of our household, until we moved to Oregon and he couldn't find his Williams chili packet anywhere. 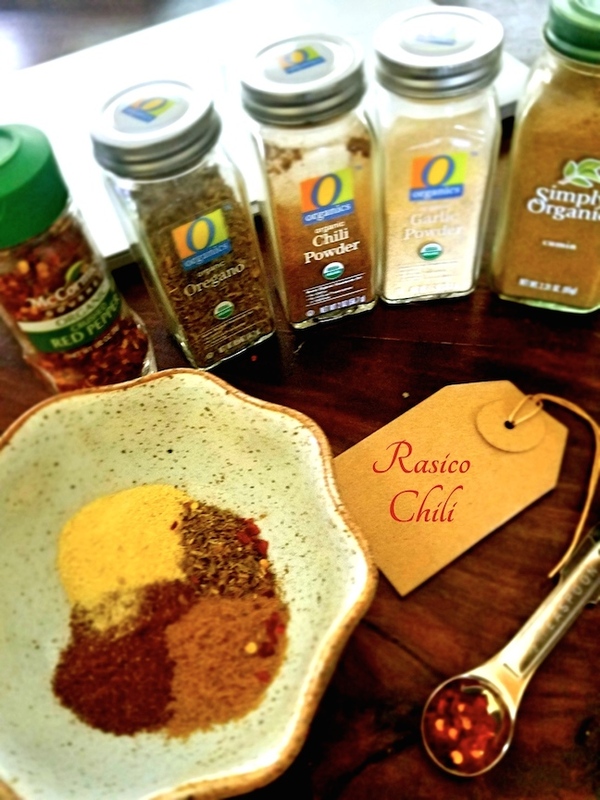 After testing the spices in a few chili batches, we have settled on this recipe. In a large 12 inch skillet, brown the ground beef. Drain, then add all ingredients into the slow cooker. Cook on low 6 - 8 hours. Note: You can adjust the amount of broth or water. My husband likes soupy chili, and I know other people prefer thicker chili.... People like me..... But oh well. 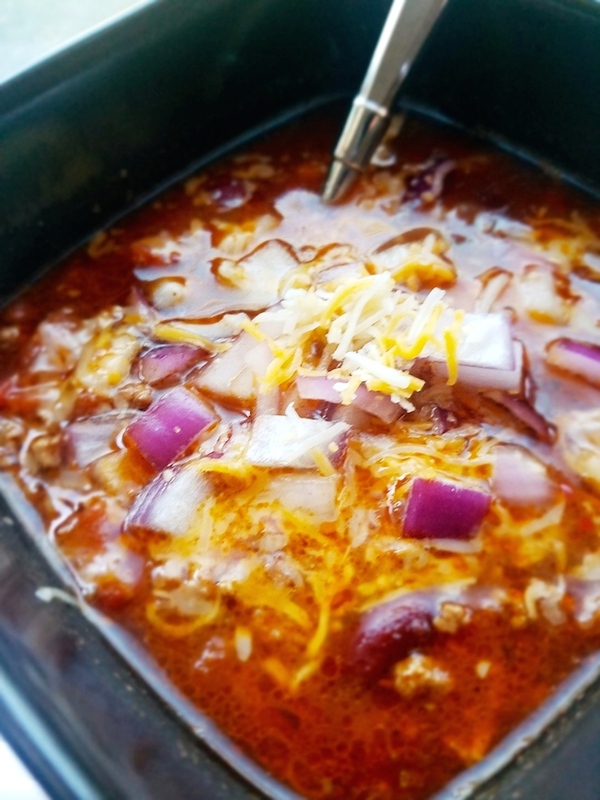 Slow Cooker Chili, looks so yummy and I think this will be a great dish to make real soon. Thank you for the easy recipe. Great work!